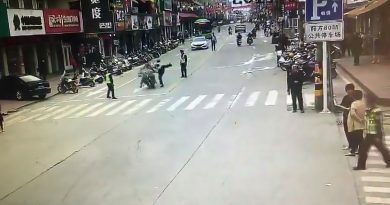 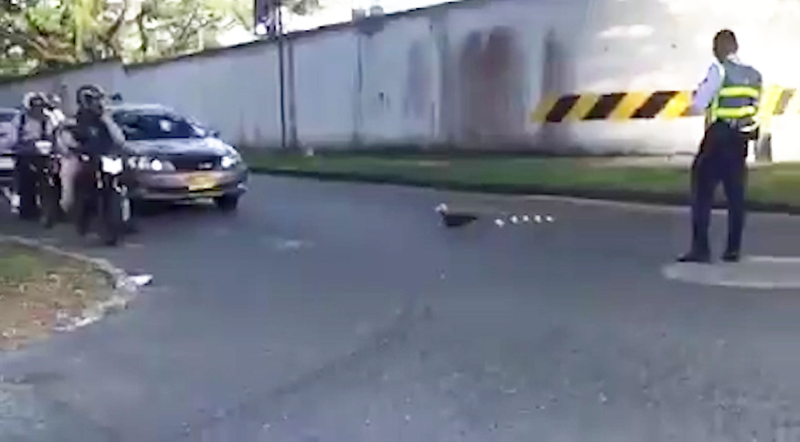 This is the moment a mother duck and her seven fluffy ducklings waddle across the road after a kind-hearted cop stopped traffic to let them pass. 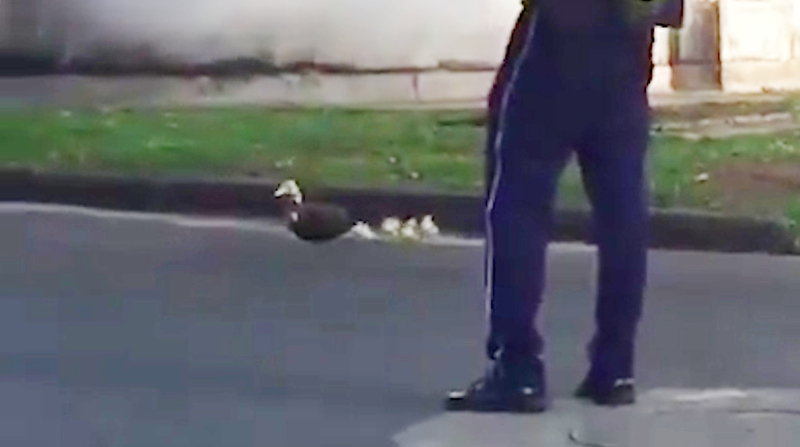 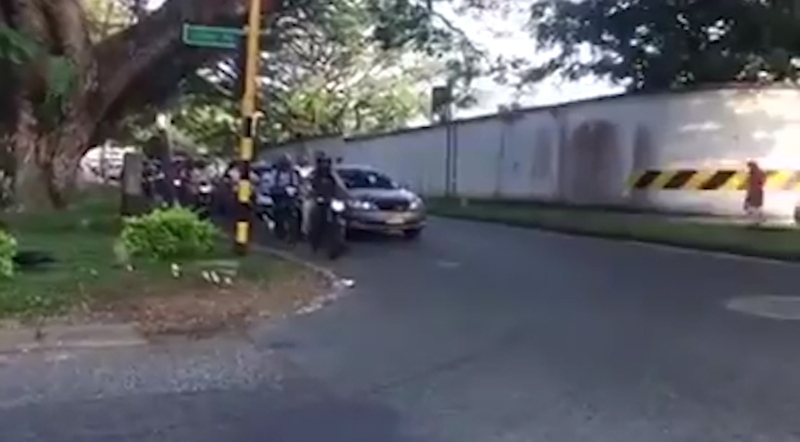 In the adorable footage, filmed at Ciudad Jardin in the city of Cali in the western Colombian department of Valle del Cauca, the police officer is seen keeping watch as the ducks cross the street. 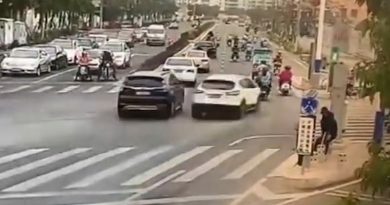 The clip shows the mother duck leading her fluffy younglings in a line, as motorists wait patiently for them to finish crossing. 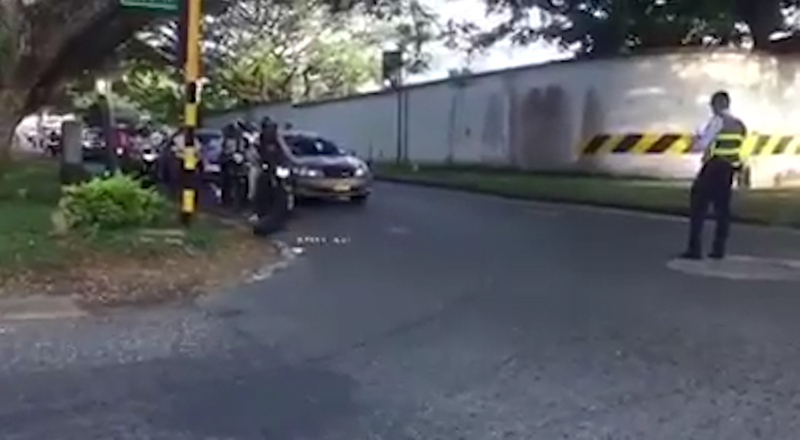 When the waterfowls are all safely on the grass verge, the unidentifed cop signals for the traffic to once again start moving.